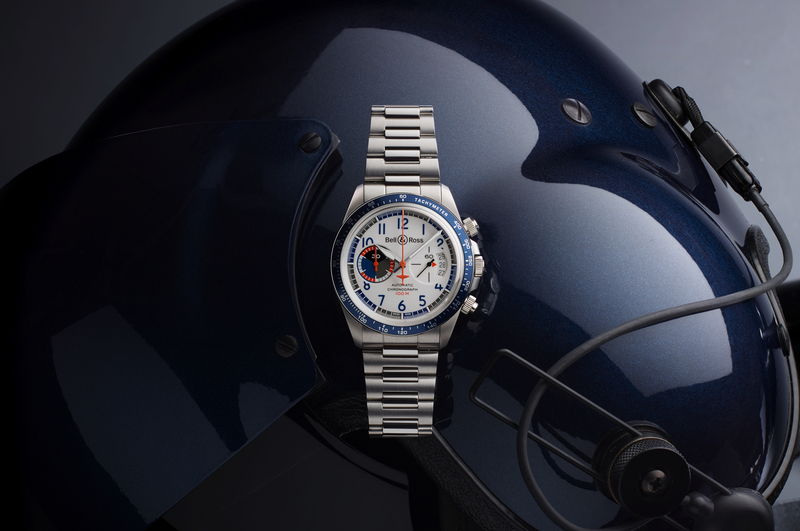 Adding on to their vintage collection, which received updated three-hand and chronograph models earlier in the year, is a new GMT watch from Bell & Ross. 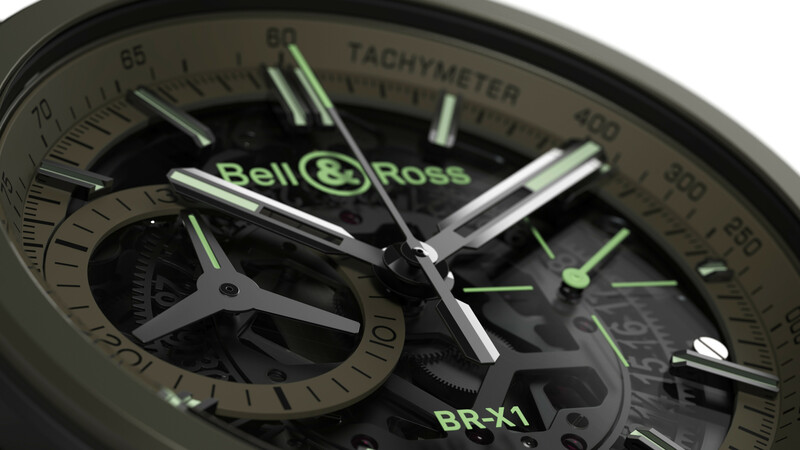 The BR V2-93 GMT 24H is not the first GMT from Bell & Ross as they came out with the BR03-51 GMT Carbon in 2013, the BR123 GMT 24H and BR126 Sport Heritage GMT Flyback in 2014, and the BR03-93 GMT in 2016 – but it’s the first within the vintage collection. These 41 mm diameter steel cased retro models, including the Racing Bird collection, are in my opinion highly attractive and well priced. 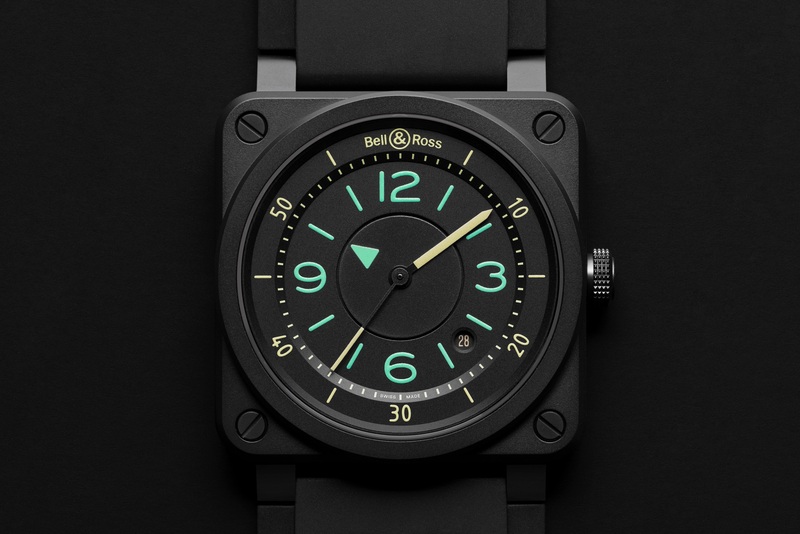 Unlike the aforementioned vintage watches launched earlier this year with patinated lume, the BR V2-93 comes with the more traditional white luminescent material on the hands and markers. Like the Rolex GMT Master, the second time zone features quick correction (with one-hour jumps) controlled via the crown, and optionally, you can time a third time zone using the bezel. The 4Hz automatic movement, which features a rotor with Geneva stripes, is based on the ETA 2893-2, with a 42-hour power reserve. 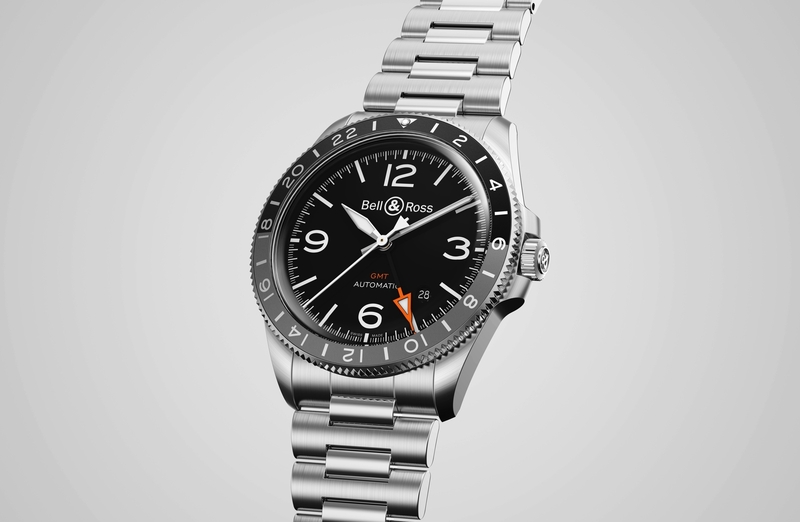 The gray and black 24-hour anodized aluminum rotating bezel looks great. I’ve often wondered why Rolex has not come out with a color variation such as this for the bezel of their GMT. Would look great on the Tudor GMT.